One of the [Urdd's] aims was to see every child and young person given the chance to participate in a Welsh-medium community sports activity. A spokesman for the Urdd said the £250,000 investment from Sport Wales will allow the movement to double its number of Sport Officers from 10 to 20, increase from 600 to 1,200 the number of young volunteers trained to run community sports clubs, increase from 70 to 140 its number of Welsh-medium community sports clubs and increase to 5,000 the number of participants in ‘drop-in’ sessions. Sport Wales is responsible for developing and promoting sport and physical activity in Wales, and one of its main roles is to distribute grant and lottery money to various bodies to deliver this. In round terms it distributed some £20m of grant money and £7m of lottery money last year. Set against these figures, this grant of £250,000 is a modest amount, but one that will deliver very real benefits. But why on earth should this be labelled as "Welsh-language investment" rather than investment in sport and physical activity for young people? In one sense I can't object to it being called that, for the Urdd will organize these activities in Welsh; but if we single this grant out as investment in the Welsh language, then the grants given to bodies that work primarily or only in English must be called investment in the English language. By that token, very much more public money will be spent on English than will be spent on Welsh. 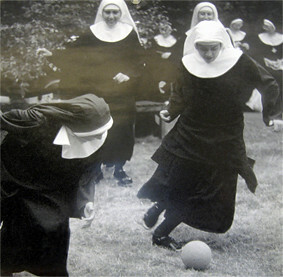 Can you play in robes? I'm not sure. The Urdd is there to promote the Welsh language by any means. To me the Urdd should only use sport to promote the Welsh language. It shouldn't be seen as 'an addition'. Now I always thought it did this, and thought- what a good idea. HOWEVER, I have been to swimming competitions (in N.Wales) and announcements, officials etc were English speakers. In "Gemau Cymru" (the main event for Urdd sport) the announcements were in English. This is NOT what the Urdd was established to do. So yes, have sport, but do it through Welsh. The Urdd is just too precious for it to be overtaken by other factors and turn into some youth club, where the language is a secondary issue. Anon 17.34: nice idea, the GAA is a great organisation. You travel through Ireland and see all the amazing facilities they have. You see Croke Park and this was all built on what is still an unprofessional sport/organisation. However, I can't see people ever playing Bando/Cnapan through the Urdd- it would have to be introduced in primary school. Anon 19.32 - I wrote a provisional rule book for 'Cnapan Newydd' a few years ago, with help from a close friend who studied sports science. It's a cross between rugby, basketball and 5-a-side football... I'll post it online if I can find it! Using the Freedom of Information Act, the Assembly has informed me the figures for Welsh-medium education spend, was for 2009-10 £407,781,000, 2010-11 £424,666,000 and for 2011-12 £397,472,000. The writer goes on to claim he has no problem supporting the Welsh language, but he classifies this as money which "funds the Welsh language". Um, that must mean that the remainder of the £1.84bn or so spent on education "funds the English language". It completely ignores any idea of physical activity, but I found a game called Druid Soccer which I'm sure deserves to be more Welsh than Irish. But I'll look forward to seeing the rules for Cnapan and Bando. I'm not so sure it's a black an white as saying the Urdd "should only use sport to promote the Welsh language", Anon 19:32. I think there's still a place for promoting the Welsh language, but things have moved on so that it's now much more important for us to ensure that Welsh can be used in all everyday situations. That means that all services need to be just as available and accessible in Welsh as they are in English. Access to sports and physical activity, in this case to young people, is just another one of those services. I wouldn't particularly mind which organization(s) provide such services in Welsh. It doesn't have to be the Urdd, it could be local authorities or sports clubs for example, but a quick Google of a couple of Athletics clubs in Cardiff and Carmarthen seems to indicate that they don't offer anything in Welsh. I think we should encourage change by, for example, making the grants that these bodies undoubtedly get from Sports Wales dependent on them having a Welsh language development policy. After I wrote the original post, I looked at the Sports Wales site and found this news item. I'm not sure about the date (although if Alun Ffred was minister, it's at least a year old) but it is clear that this grant to the Urdd is exactly in line with the plan to double the current number of coaches and volunteers across Wales as a whole. When I first read the news about the Urdd grant, I thought it was a very positive development and a big step forward for Welsh-language provision in a much needed area. But it's now obvious that the Urdd is getting no more and no less than what we'd expect other organizations to be getting too. The grant is very welcome, but we shouldn't be fooled into thinking this is any big deal. I'd be disappointed if things like announcements aren't made at least bilingually at Urdd events. I don't know if this is widespread, but something needs to be done if it is. Thanks, Phil. The same warped thinking applies when the usual suspects complain about any service that's provided in Welsh. I have written to the WM thanking the correspondent that pointed out the 400+ million figure for bringing to attention that WM pupils are therefore underfunded compared to EM pupils. I hold no great hopes of its being published. The WM comments boards has enjoyed an influx of familiar voices under new names over the weekend. And guess what? They are all Wales-haters! Siônnyn.....Isn't the WM an english paper?